The new app, Ask NHS, has now launched in our area. It is free to download on any mobile device and provides patients with a symptom checker, self-care advice and access to book the most appropriate GP appointment. Using the app can help patients take more control of their health. A virtual healthcare assistant, Olivia, asks a series of questions to assess a patient’s symptoms in a clinically safe way. Olivia will then recommend the most appropriate care for them. This might be self-care advice via www.nhs.uk, a GP appointment, GP call back or direct them to urgent or emergency care. For patients who need to see a GP, the app can prioritise patients into the most appropriate appointment slots based on their needs. Patients can directly book an urgent or routine appointment without having to call the practice. More practices will be live with Ask NHS over the coming weeks and months, providing Buckinghamshire residents with easy to access, secure and confidential healthcare support. The Ask NHS app is available on both iOS and Android phones and smart devices. It’s free to download from the App Store (Apple devices) or Google Play (Android devices). Patients will receive an invitation from their practice to download the App once the practice is live with Ask NHS. 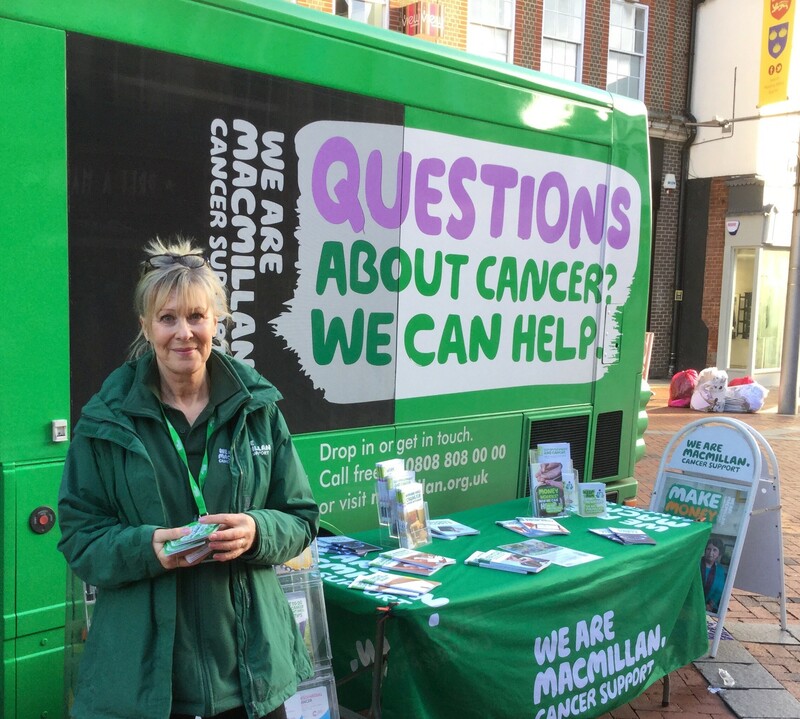 The Macmillan Cancer Support charity’s mobile information and support service will be visiting Buckinghamshire in early February – in their big green bus nicknamed ‘Bertie’. The service is open to everyone. Whether you have a cancer diagnosis, have a friend or relative affected by cancer, or are worried about cancer in any way at all, there are lots of ways that Macmillan can support you – medically, financially, emotionally and practically. The bus will be crewed by a dedicated team of highly qualified Macmillan professionals, who travel across the area in Bertie – one of the charity’s fleet of six buses. 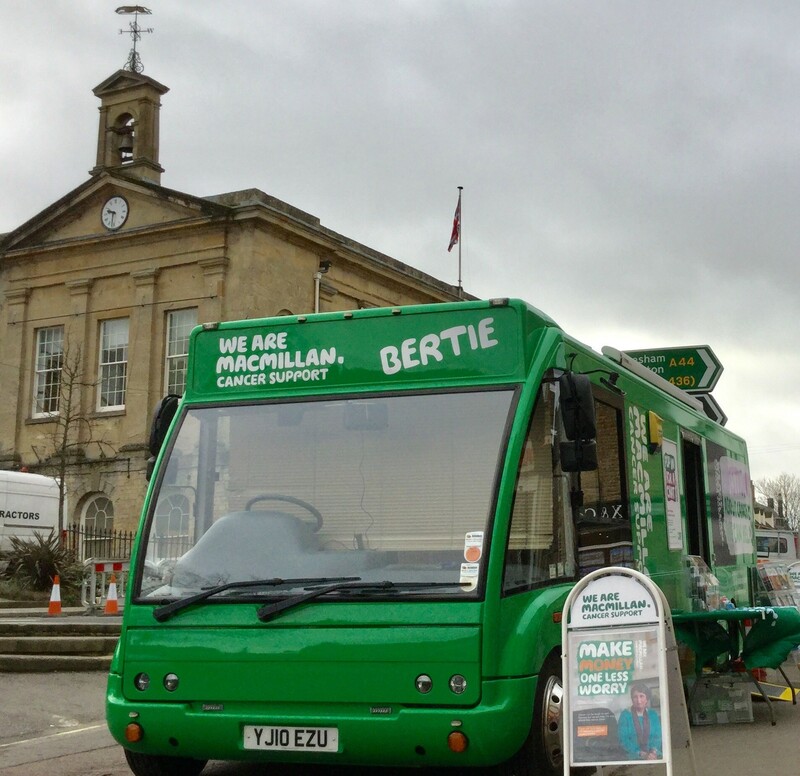 Bertie will be in High Wycombe’s High Street on 6 Feb, Aylesbury’s Market Square on 7 Feb and Aylesbury’s Tesco Superstore on the Tring Road on 8 Feb. It will be available from 10am to 4pm on each of these days. For more information on the service, please click here. 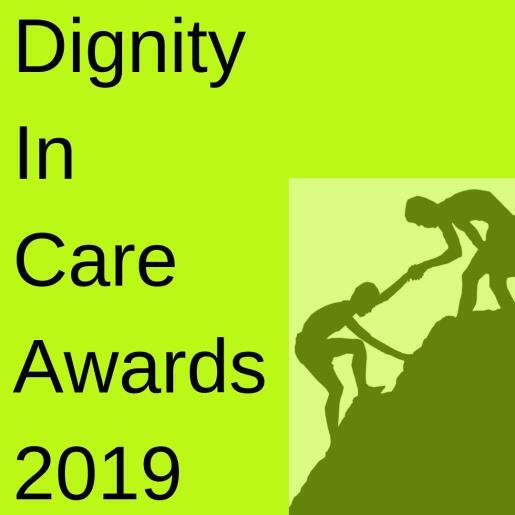 Buckinghamshire County Council is launching its 6th annual Dignity In Care Awards, searching for the best of the best in the county to say a great big thank you. With thousands of people being cared for in Bucks by family, friends or professional health and wellbeing teams, there are sometimes those who go above and beyond. Last year’s award winners and shortlisted nominees produced some emotional moments which you can watch and read more about here – these really showcase the many ways in which these carer heroes provide the very highest level of dignity and respect to those most in need. An online searchable map of community organisations and activities in Buckinghamshire is now live. 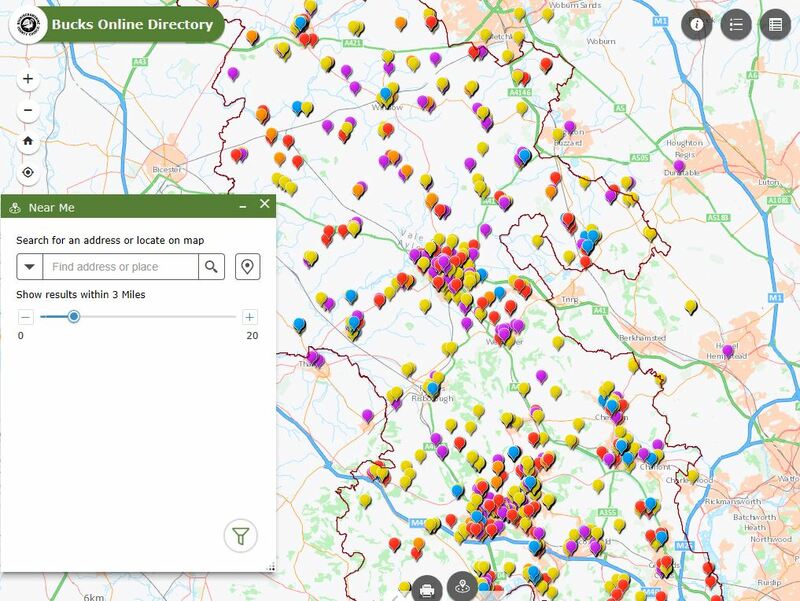 Called Buckinghamshire Online Directory (BOD), this brand new search engine contains nearly 2,000 things to do in communities across Buckinghamshire. It shows a map with coloured markers representing different social and physical activities, support groups, and learning and cultural opportunities. You can click on the coloured markers to see what’s going on nearby. If you’re looking for something specific, there are options to search by postcode, type of activity or support, day of the week, and key words such as lunches or music. There is also a button at the bottom of the page to suggest groups or activities that are missing. Click here to find out what’s going on in your community. Over the last few months, NHS Buckinghamshire Clinical Commissioning Group has been asking for the views of patients, public and the staff at Chiltern House Medical Centre about the future of this practice of 7,000 patients based in High Wycombe. 1,124 members of the public took part in a survey. As a result of the feedback from this and other engagement, the CCG has agreed that Option 3 – reprocurement – is taken forward. This means another service provider will be found to run the practice. Nicola Lester, Director of Transformation at Bucks CCG said: “The majority of people who took part in the survey, and those we spoke to at meetings, said that they preferred the option of keeping the practice open by finding another service provider rather than dispersing the list (Option 3). “This option means that we will now look for a suitable provider who can provide high quality care for the patients registered at Chiltern House Medical Centre. “This option will require us to carry out further engagement with patients, staff and stakeholders to see what services they need Chiltern House Medical Centre to provide. “We are aware that, since July 2018, patients at the practice have undergone a period of uncertainty and change and we would like to thank everyone involved for their patience and cooperation. A report containing our recommendation that went to the CCG’s Primary Care Commissioning meeting on Thursday (6/12) can be viewed there. The results of the survey are also contained within the report. Please click here to view the Chiltern House Medical Centre Options Appraisal for further information. You can view more detailed feedback and results from the survey by clicking here. The out-of-hours service for patients in south Buckinghamshire is changing and we need your views on where you would prefer to go to for these appointments. An out-of-hours service offers access to a general practitioner from 6.30pm to 8am Monday to Friday, throughout the weekend and on bank holidays. These appointments are for people who need to see a doctor urgently. They are not for routine appointments. These could be via a telephone call or a face-to-face appointment, usually at the out-of-hours base or, in certain circumstances, at your own home. The service is accessed by calling NHS 111. Dr Rebecca Mallard-Smith, Clinical Director of Community Urgent Care, said: “We want to provide a local service for our local communities and are working with patients and practices in the area to make sure that the out-of-hours service we provide can meet their needs. “We would like to know views on the current out-of-hours service and also where people in south Buckinghamshire would prefer the out-of-hours GP appointment to be held. Currently the GP out-of-hours service runs from 6.30pm until 8am on weekdays and from 6.30pm on Friday evening until 8am on Monday morning. People who need an urgent appointment with a GP, after phoning 111, can go to Royal Berkshire Bracknell Clinic in Bracknell or the Herschel Medical Centre in Slough. On the very rare occasion when patients urgently need to see a GP overnight (from 10pm until 8am on weekdays; from 10pm until 9am on Saturdays; and from 7pm on Sundays until 8am on Mondays), they can book an appointment by phoning NHS 111 and will need to travel to Amersham or Wycombe. To help us shape the future of your local out-of-hours service a short survey is available here. Medicines like these are easily available over the counter, often at a lower cost than the NHS is charged for them. Where possible, health services are asking patients to obtain these medicines themselves – it is quicker, easier, and will mean the NHS can spend more money on other services that will have greater benefit for the Buckinghamshire population. Dr Shona Lockie, Clinical Director for the Medicines Management team at NHS Buckinghamshire Clinical Commissioning Group, said: “Whilst we know that some patients genuinely need these medicines in regular quantities for long term conditions and they will continue to be able to have them prescribed; a lot of these medicines are available to buy over the counter from your local pharmacy often at a lower cost than would be incurred by the NHS. “So we are adopting national guidance for our local GPs which we hope will reduce our spend on around 35 different medicines and treatments for minor conditions and ailments that are usually self-limiting or which lend themselves to self-care. Speak to your pharmacist for advice on treating minor problems; e.g. coughs and colds, mild eczema and athlete’s foot. They will always tell you if you need to see a doctor. Patients who need these drugs in regular quantities or fall into an exception category can continue to get them on prescription. If you visit your GP who then recommends you buy the treatment, please remember they are following national guidance. When required in small quantities or for a short period of time, it would be quicker for you to obtain and will create less pressure on GP appointments if you were to buy these yourself without a prescription. * Patients who need these drugs in regular quantities can continue to get them on repeat prescription. 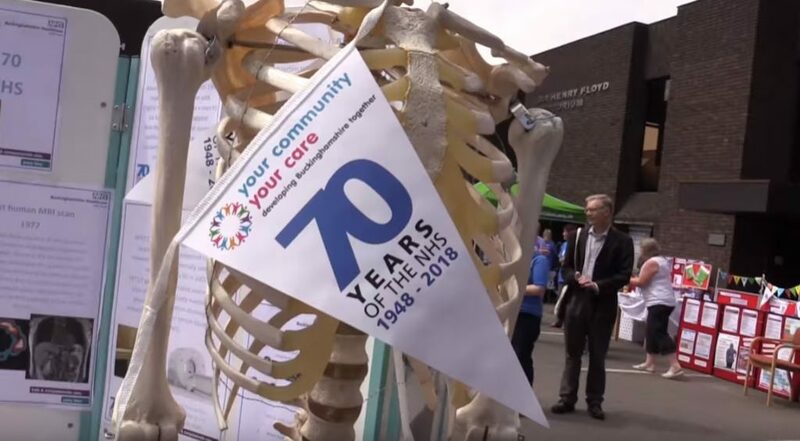 On July 28, Stoke Mandeville Hospital held an open day to celebrate the 70th birthday of the NHS. Click here to watch a video featuring some of the highlights of the event. Many of our residents have a ‘repeat prescription’ meaning that they can regularly receive certain medication without having to see their doctor each time. Some people order these repeat prescriptions themselves, while others choose to use a pharmacy or dispensing company to order medicines on their behalf. Depending on how you request your medicines, the way that it works for you may change from 1 August 2018. You can find further information in our patient letter and leaflet below. Please see below for details of which pharmacies will be open, and their operating hours, across the NHS Chiltern CCG area during the Christmas and New Year period. Where possible, please also plan ahead to make sure you get any repeat prescriptions ahead of the Christmas break. Please note – pharmacy opening hours on Bank Holidays are voluntary and are, therefore, subject to change. There may be changes to normal pharmacy opening hours between Sunday 24th December and Monday 1st January inclusive. Patients are advised to check if pharmacies are open by telephone before making a journey. Local pharmacy details can be found on the NHS Choices website at www.nhs.uk under ‘More Services’. And remember, you can also check our Health Help Now web service for more information on pharmacies near you, and other health services available in Buckinghamshire. If you are still not sure what health service option to use, and it is not an emergency, call NHS 111 for advice. To see a full list of all pharmacy opening times across all of Bucks over the Christmas and New Year period, click here. NHS Aylesbury Vale and NHS Chiltern CCGs adopt the same priority statements as the rest of the Thames Valley CCGs, in order to provide assurance that patients have equitable access to health care. The Individual Funding Request (IFR) data for Aylesbury Vale and Chiltern Clinical Commissioning Groups is a count of all the referrals that the IFR team process on our behalf, however they also provide us with a referral triage service and these referrals have been included in error. This wide variation in data across CCGs is a result of differences in what is actually being counted by individual IFR teams, some of whom, as in Bucks, are delivering a wider service than typical IFR management. Our use of wording on our website is not helpful; on reflection we can see this is misleading and will take immediate steps to ensure the process is more accurately described. In addition, we will work with our Thames Valley CCGs to ensure we all apply the IFR terminology in a more standardised way in the future, which should better reflect correct IFR levels. The actual clinical policies implemented by Bucks are the same as those implemented across the Thames Valley, based on clinical evidence available and with legal and ethical support. They are not unique to Bucks and are commonly used by other CCGs.